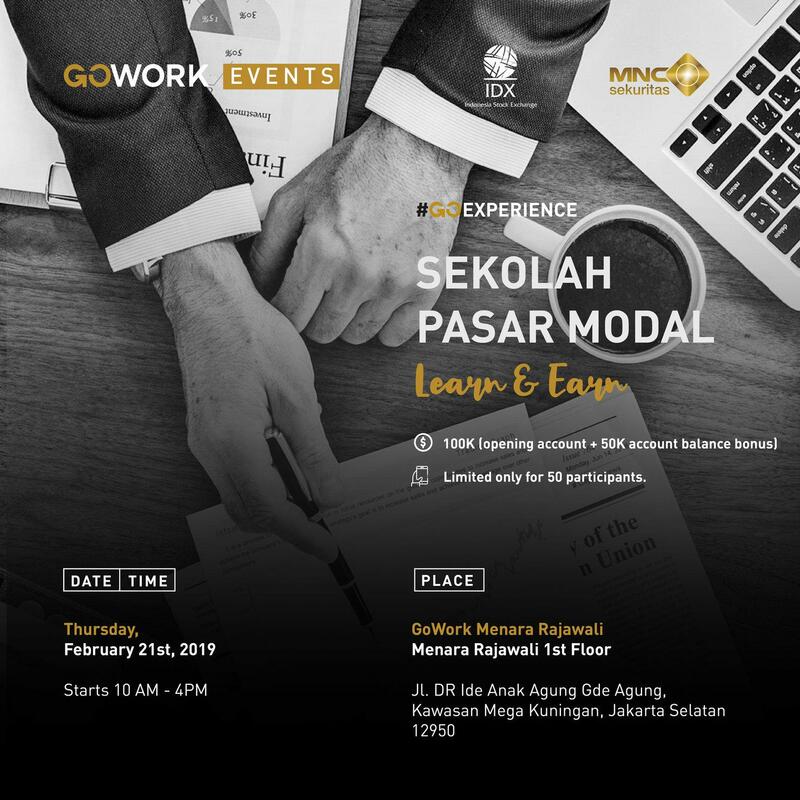 GoWork X Bursa Efek Indonesia & MNC Sekuritas : Sekolah Pasar Modal "Learn and Earn"
GoWork, in partnership with Indonesia Stock Exchange & MNC Sekuritas, is holding a workshop on investing in stock market. All you need is to start your stock account and an initial deposit of IDR 100K as your to kickstart your account. This class is recommended for junior traders looking to trade stocks.